This week we are previewing four poems from Where the Road Runs out, a new collection of poems by Gaia Holmes, which will be forthcoming from Comma Press later this year. Copies can be pre-ordered here. Where The Road Runs Out will explore long journeys with dark destinations, the Danish concept of ‘hygge’, holes, cracks, gaps, expectations, rebellious houses, spiritual homes, thermals, morphine and the wrong kind of birds. Regular readers of The High Window may recall the fine set of Gaia’s poem which we included in THW #3 and which you can read here. Gaia will also be our featured essayist in the summer issue of The High Window. the will you have to write. singing in my head” you say. is pressed to your ear. are the wrong kind of birds. but you pull me back. of a month of summer storms. The house tried to warn me. and charred in the fuse box. Light hummed on the tips of your teeth. and I too, wanted to tap your light. When I awoke in the morning you’d gone. scorched into the bed sheets. burning yourself away from me. Petrichor: The scent in the air after heavy rain following a period of prolonged dryness. the front door, the bed, the teapot. that could defrost a frozen chicken. a small camping kettle to make tea. frost wouldn’t settle on the window panes. as if they were stove pipes. The air had no angles. on the bottom of a shopping list. and all the angels come out singing. this man who could stave off the rain. rolling the fat, dry moon into view. The grass was singed in his wake. pressed them to our chests when we slept. his words tasting of dirt. There was something of God in his voice. and blood lost its meaning. stopped beating in my chest. Gaia Holmes lives in Halifax. She is a free-lance writer and creative writing tutor who works with schools, libraries and other community groups throughout the West Yorkshire region. She runs ‘Igniting The Spark’, a weekly writing workshop at Dean Clough, Halifax. 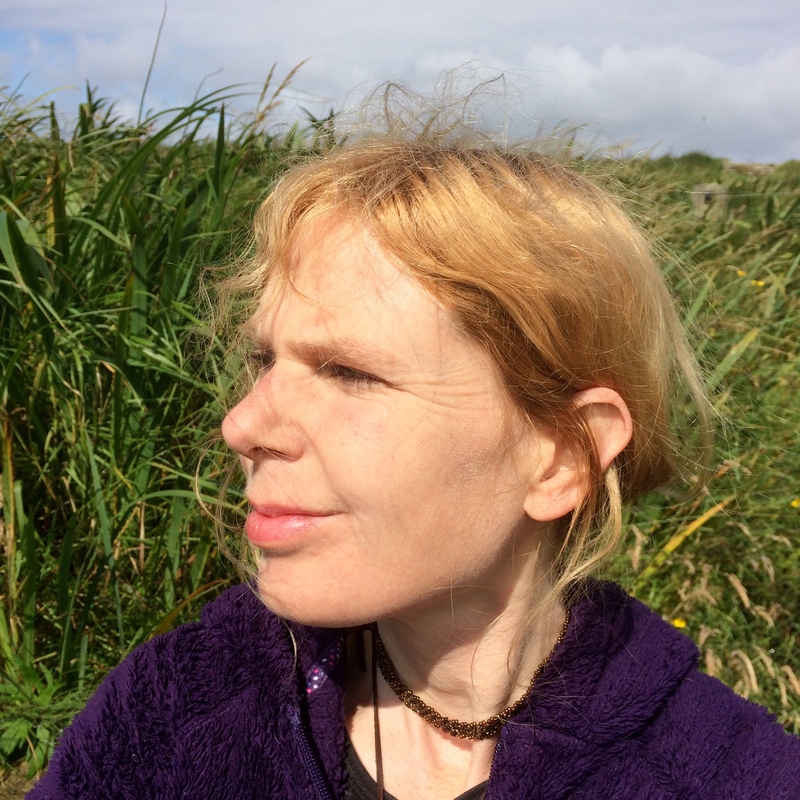 She has had two full length poetry collections published by Comma Press: Dr James Graham’s Celestial Bed (2006) and Lifting The Piano With One Hand (2013).and Tales from the Tachograph, a collaborative work with Winston Plowes (Calder Valley Poetry, 2017). Her third collection, Where the Road Runs Out, will be published by Comma Press in Autumn 2018.